Here at the U. S. Department of Agriculture (USDA), we believe America’s farmers, ranchers and foresters are superheroes. They maybe don’t wear capes or fight crime, but they do super important work, growing our nation’s food, fiber and fuel. 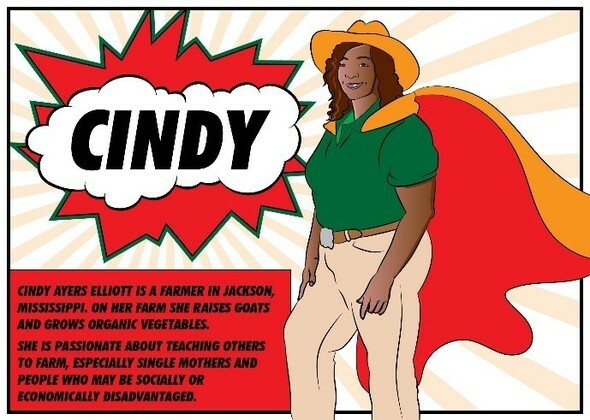 Cindy Ayers-Elliott uses high tunnels to protect her yields and provides her local Mississippi community with fresh, locally grown food. Bam! to frost damage! Read about more farmers on Farmers.gov blog.